And it’s headed for, deep breath, PS3, PS4, Xbox 360, Xbox One, and PC. 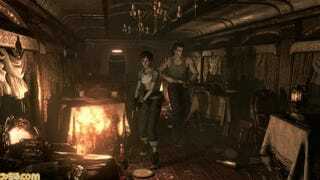 The game is a prequel to the first Resident Evil game and follows the characters Billy Coen and Rebecca Chambers as they discover the origin of the T-virus. Originally released on the GameCube in 2002, a Wii version was released back in 2009. I don’t see a Nintendo platform this go round. That’s not totally surprising, because back in 2014 (2015 internationally), Capcom released a hi-def version of the 2002 game Resident Evil. No Nintendo platforms for that HD version, either.